We’re moving to Lausanne, which International School is the Best? Lausanne houses a number of exclusive private international schools that parents from all over the world select for their children. The location on Lake Geneva in the heart of the French-speaking Romandie region of Switzerland, provides a culturally rich and safe environment. Across the lake is France and only a short train ride away, students can access many of the beautiful landscapes of the Swiss Alps as well as the bustling cities of Zürich, Lucerne, and Lugano, to name just a few. It is not only the location of the city, but also the amenities inside the city that make it so attractive to families. 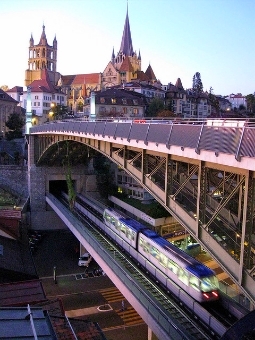 Lausanne is a relatively small city with a population of roughly 140,000 inhabitants. However, its comprehensive metro and public transportation system with twenty-eight stations makes it the smallest city in the world to have rapid transit. This, paired with the world-renowned Swiss train system, makes Lausanne an easily accessible city. In addition, within easy access of all schools are over twenty-five museums and art galleries, providing a world of new ideas and experiences for children. All of these are reasons why Lausanne is a wonderful place to be. 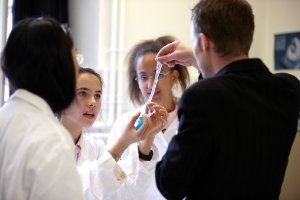 However, how do you know which of the many private and international schools to choose from? Because of the high desirability of this area of Switzerland, many private schools have chosen to establish their homes here. No school is perfect, but our accreditation demonstrates that we are committed to our journey towards excellence through self-improvement. Another important aspect of an education is how closely your child is able to interact with teachers. The class size and student to teacher ratio is essential when it comes to this. Brillantmont is unique in Lausanne for its small school and thus class size (average of 12 students). Our teachers are able to create individual relationships with students and therefore focus on each child’s educational needs. The care and attention that is given to each child can only occur in a small environment like the one Brillantmont offers. Knowing that your child is being cared for and taught by a staff that is able to put their full attention on every student is crucial. We know that choosing the right school for your child can be challenging and we hope that this blog can help you in your decision making process. Please feel free to contact us with any questions you might have about Brillantmont. Moving to Switzerland? Should I Send my Child to a Private School? Is Your Choice of Middle School Dependent on Where You Live? Get more information on our middle and high school programmes, or the activities and learning we foster at Brillantmont. Alternatively, contact us directly by filling in our contact form or calling us.